Starting an Etsy shop is a very enticing prospect for many crafty, entrepreneur-minded people. However, the experience of opening an Etsy shop is not one that everyone will have success with. If you are considering selling products on Etsy, keep reading below to learn why it may be an excellent method to add some extra income to your bank accounts over selling at mall kiosks or opening an online store. 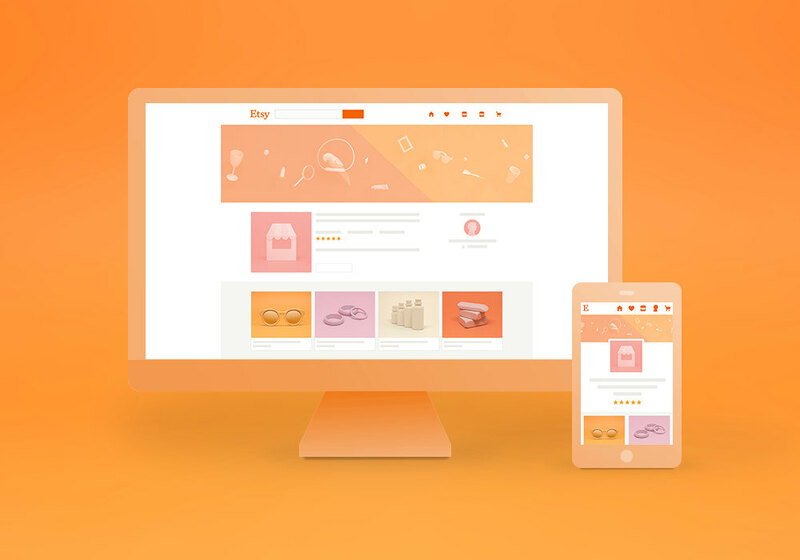 One of the most major benefits of opening an Etsy store over starting your own ecommerce website is the consumer trust Etsy has already established for new businesses. Building business trust is extremely difficult. It can also take an extraordinarily long time to build the kind of consumer trust you need to make sales online. Etsy has already established consumer trust for your business, which makes the job of making your first sale online that much easier. Another reason you should start an Etsy shop is because it is the first place people go to find DIY creations when they are in need. Etsy offers not only consumer trust, but also brand recognition. Almost everyone in your target demographic is sure to have heard of Etsy. This is the first place brides, teachers and other consumers look to supply their weddings and classrooms. Building brand recognition for ecommerce is extremely difficult. Just consider how many other internet startup ideas already out there are similar to yours. If you choose to open an Etsy shop, you do not have to worry about that at all. If you are not proficient in web development, you are going to have a very hard time starting an ecommerce website yourself. If you choose to hire someone, you are looking at quite a financial investment in your business, as well. This makes opening your own craft business much more risky. However, starting a shop on Etsy frees you from this worry. All of the usability and website stickiness worries are left to someone much more experienced in the Etsy office. Starting an Etsy shop is the perfect solution for a resourceful crafting and DIY expert with little coding ability. Another reason entrepreneurs like yourself should certainly consider opening an Etsy shop is because it requires little startup funding. In order to build your own online store, you would need to invest quite a lot of money on server hosting, web development and page maintenance. Opening a a shop with Etsy will only cost you 20 cents per item, plus project materials costs. This is a much more affordable option, lowering the business risk and financial risk associated with the task. This is a definite benefit for those crafty entrepreneurs who are only doing this as a side hustle to earn additional income without having to worry about learning how to finance small business ventures. If you are an entrepreneur-minded crafting and DIY expert, opening an Etsy shop may be the best thing you ever do for your financial health. Starting an Etsy shop is not a walk in the park. However, it provides many benefits over opening your own online store. Keep these advantages in mind when making your decision. You are likely not to regret the decision to start an Etsy shop at all.